You can enjoy a variety of vehicles for any purpose! 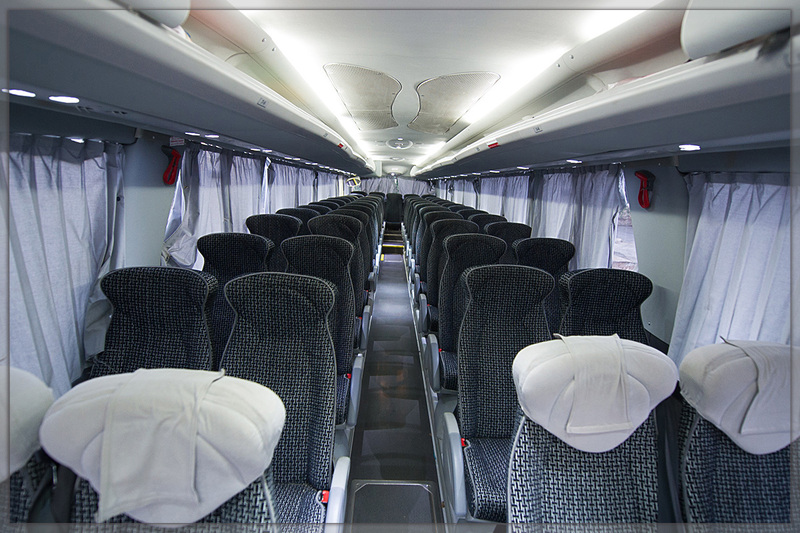 All the buses in Moni Siton Transportation Company are equipped with air-conditioned, advanced multimedia system, comfortable & adjustable seats and wireless internet. The bus department in Moni Siton Transportation Company consists of 40 luxurious air-conditioned buses. We provide transportation services to various entities such as workplaces, schools, tourists, tour groups all around the country and more. 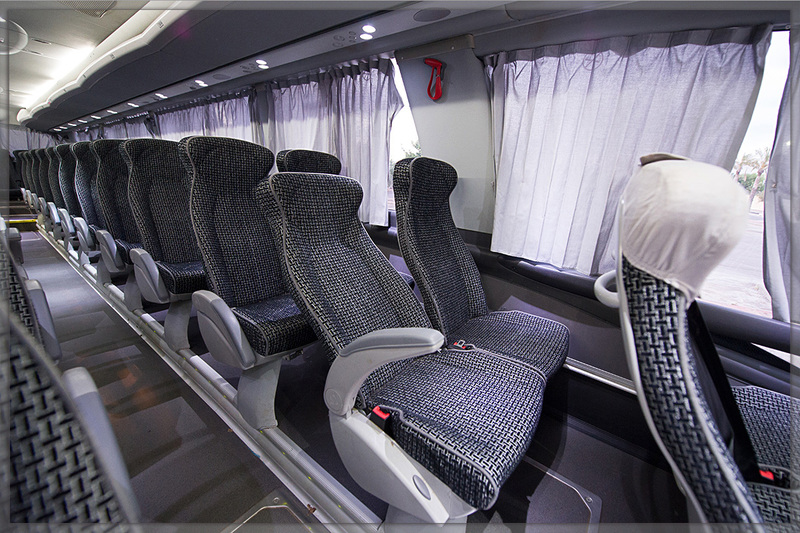 Our buses are spacious and luxurious and have 53-55 comfortable and adjustable seats. All you have to do is get comfortable in your seat and watch the landscape passing by during an unforgettable comfortable ride. We do not compromise on the quality of the vehicles, the skills and experience of the drivers. The bus department is run by a dispatching team which demonstrates high-quality service and professionalism every step of the way, starting from the initial contact through the day of the ride. We make sure to provide you with a driver who is well-familiar with the area and is attentive to your needs and questions. Furthermore, we do not compromise on the quality of our vehicles, that are constantly supervised by the Company's management safety officer. Our buses have an excellent air conditioning system, a modern multimedia system and comfortable, adjustable seats - for the best interests of the passengers and their safety and enjoyment. Looking for a ride to a field trip, work or school? Not willing to compromise on quality and service? Contact us. מעוניינים בהסעה? השאירו פרטים ונציג שלנו יחזור אליכם בהקדם! מלאו פרטים ואחד מהנציגים שלנו יחזור אליכם בהקדם עם הצעה מנצחת!